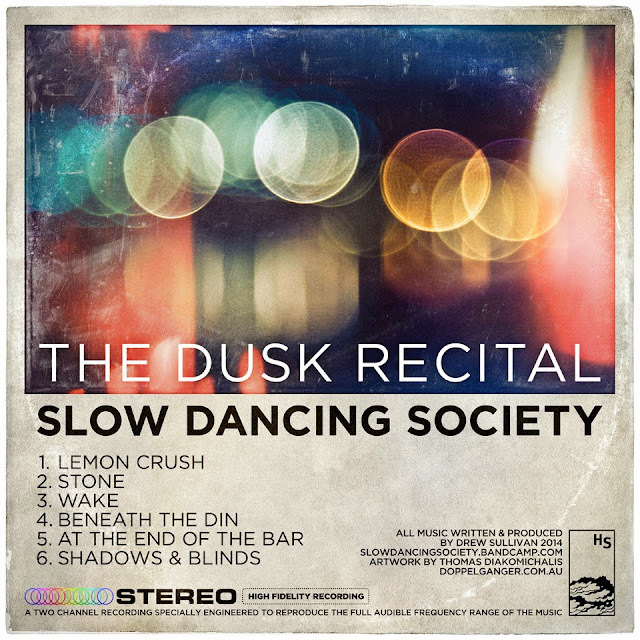 “The Dusk Recital” by Slow Dancing Society is the latest release from musician Drew Sullivan ... it is a six track EP that is filled to overflowing with the most delightful beat-laden instrumental ambience. Everything about this EP works together: the tempo, the instrumentation, the order of presentation, the artwork; it is the aural equivalent of your favourite dark chocolate: smooth, sensual and deeply satisfying. Take “Wake”, for example: a warm-bloodied, sensuous track that uses the combination of saxophone and guitar to great effect, conveying similar emotion to Vangelis' "Love Theme" from his seminal score for Blade Runner.